Mum or dad, whosoever was doing the frying – usually mum – had a single separate routine for little ole Robert, cutting the tails off the bacon! You must know what I mean? It’s not something that I‘d ever ask anyone cooking for me these days to do – I’d consider it rather impolite of me; otherwise I’d ask, however, I lack the nerve to be so cheeky…strange, I’ve never been found lacking before? Oh, well… I liken a bacon rasher to a bat of some sort, the kind of thing you’d strike a ball with, not those hairy little mammals that hang out in the loft. Actually, are bats a delicacy anywhere in the World? They’re bound to be – probably taste like chicken. Nevermind… I could probably go Google that. Nah. So today I found myself making a fry-up, again. Bacon, sausage, eggs, fried bread, mushrooms. That’s all. With a little tomato ketchup. Complimented by a lovely cup of tea. And found myself reminiscing about bacon tails. There was one other thing too… I didn’t like pork sausages. Hated them with a passion. And for all I eat them now, and actually enjoy them, way back when, I couldn’t tolerate them. 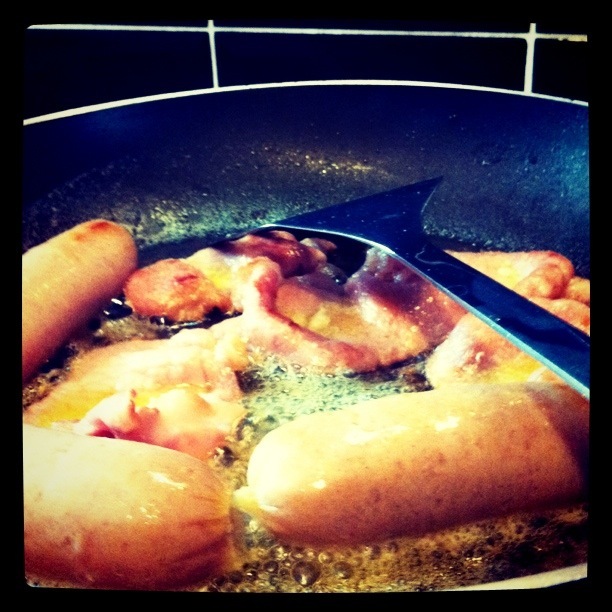 Many a row was enjoy…erm, battled through because I wouldn’t eat the sausages. And there’s one thing I never could work out? Why nothing was ever said about the pork sausage I managed to sneak into my dad’s work bag, or in fact, what happened to it? I wonder if dad remembers. 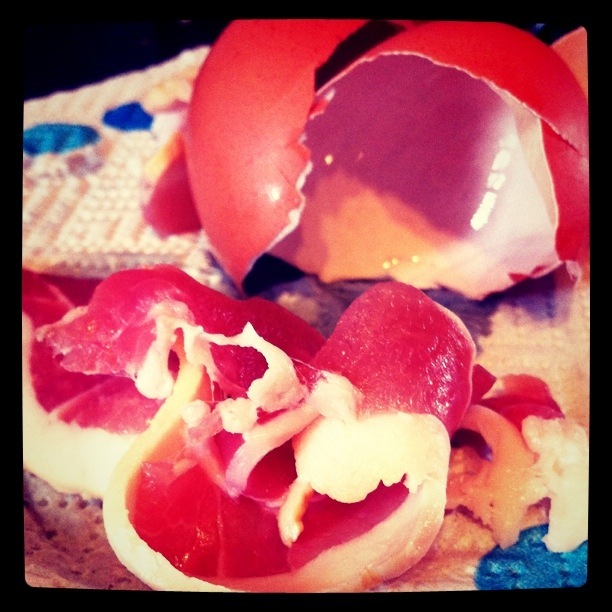 This entry was posted in My Words and tagged Bacon, Eggs, Fried Bread, Mushrooms, Sausages. Bookmark the permalink.